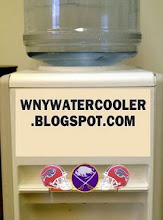 The Buffalo Bills are run by incompetent trolls that hate winning, their fans and their national perception. Signing soon to be 36 year old Frank Gore is the cruelest of jokes. It would be funny if it wasnt so sad and infuriating. Signing 36 year old Frank Gore on the first day of free agency for $2 million sounds like an Onion headline. He, as of now, is he 19th highest paid player on the team. Not only is he old and useless but he will UNDOUBTEDLY tske playing time from a younger faster cheaper better runningback. This signing boggles the mind.